Our all-new pictorial certificates replace one of our old best sellers. The new image simply exudes relaxation and reminds people just how enjoyable a good treatment can be. The bright and brilliant colors along with the thickness of the stock provide your customers with the real look and feel of true quality. This pack includes 25 Certificates Made from our 12pt double gloss premium card stock, & 25 Envelopes made from our bright white 28# paper. Our all-new pictorial certificates replace one of our old best sellers. 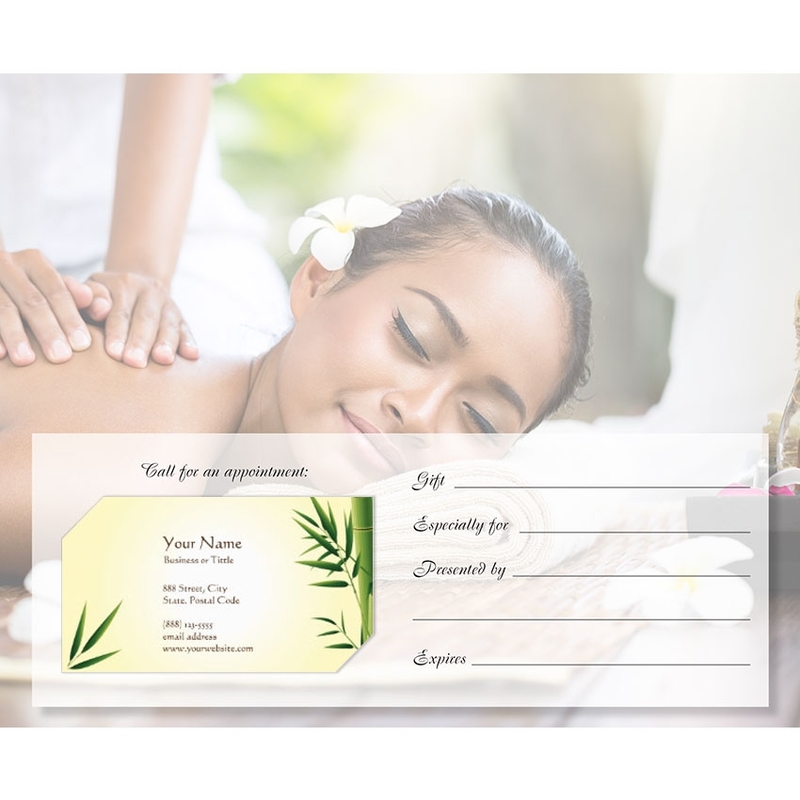 The new image simply exudes relaxation and reminds people just how enjoyable a good treatment can be.The bright and brilliant colors along with the thickness of the stock provide your customers with the real look and feel of true quality. Unlike most of the certificates on the market, we not only include a spot for your business card, but there are two die-cut slits for you to easily secure your card to the certificate without the use of added materials. We complete the package with twenty-five #9 envelopes that are 28-pound thick keeping the fantastic colors of the certificate from bleeding through the envelope. The #9 size allows you the freedom to enclose the certificate and still mail it out in a standard envelope.